The secrets of Shurima were not destined to remain buried forever—though perhaps they should. On 16 May, 25 CLE, Azir invoked the power of the Sun Disc to raise his ruined capital from the sands and proclaim the return of the Shuriman Empire. As the people of Shurima rallied to his banner, he issued an ultimatum to the great powers of Valoran: surrender those lands which were his by imperial right, or face the wrath of the Ascended Emperor of Shurima. He dispatched messengers to the Institute of War, and demanded Shurima’s admission to the League of Legends as a sovereign member-state, together with the rescission of two thousands years of treaties that had partitioned the remnants of the fallen Empire among the nations of Valoran. Azir’s demand for sovereignty has triggered a war in Shurima and a dispute on the Fields. Shurima, Noxus, and Piltover each have their own objectives: Shurima desires independence and a return to its former glory, while Noxus seeks new strength from conquest and Piltover desires to expand its mercantile empire while “civilizing” this barren land. 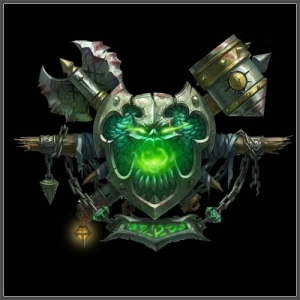 All three factions have begun recruiting Champions and Summoners to aid them in this conflict. When you’re ready to make your decision, select your region and submit your declaration to the League. Remember that declarations only last for the course of the arc; we’ll start with a “clean slate” next round. Description: A founding member of the League, chief combatant in the Rune Wars, and military superpower. Its society embraces conflict and the freedom to pursue one’s ambitions to the extent of one’s own strength and cunning. Though outnumbered by Demacia, it has time and again held its own by virtue of the ruthlessness of its battle-tested leaders, the ferocity of its proud warriors, and the deadliness of its dark magic. Recent History: The gates of Noxus held against the apocalyptic forces of Discord, saving Valoran from destruction, though at great cost: much of Noxian land was poisoned by the Void. The flight of refugees to Ionia triggered a war in Shon-Xan; through resort to Zaunite techmaturgic weaponry, Noxus emerged with a small piece of hex-blasted territory, but lost several veteran legions. Noxian traditionalists seized this moment to launch a coup against Swain, which was brutally suppressed, and Noxus joined Zaun’s armies in the Battle of Shurima, where they routed Demacia’s once-invincible armies. Objectives: Swain’s dominant “New Noxus” regime seeks to scour Shurima for usable assets and break the back of Azir’s self-proclaimed “Empire” before it can pose a real threat, while ensuring the continued flow of pyrikhos (a crucial techmaturgic fuel source) to its Zaunite allies. Azir’s reckless actions have exposed his civilization’s oldest treasures for the first time in millennia, and with their power Swain believes he could destroy Demacia and rule Valoran. However, the vast majority of Noxian connections within Shurima are through the old noble houses, many of which are growing resentful of this upstart half-breed Grand General. While most of the more radical “Reformists” are dead after their failed coup, these moderate traditionalists are sympathetic to arguments that this “New Noxus” has such an obsession with “power” that it has forgotten the deeper virtue of strength. They would rather see Noxus destroy its enemies by the strength of the men and women of Noxus than with pyrikhos-fueled machines or techmaturgic gas bombs, and they would rather control Shurima than destroy it. Gameplay: Noxus excels in the early game, and has terrifying lockdown-burst assassination potential. However, it tends to fall off once the teamfight phase begins. With limited access to support Champions, Noxus often runs a kill lane in bot. Boldly to hope, nobly to strive, for a brighter tomorrow. Description: Piltover is a major mercantile power and home to many of Valoran’s most brilliant engineers, architects, and scientists. It is a democratic and lawful society suffused with an infectious optimism about the future. Although familial wealth and status matter a great deal, it has made significant strides in public education and the free availability of entrepreneurial capital, and a large number of government-funded grants exist that can allow gifted inventors to realize their dreams, however humble their birth. It tempers its enthusiasm for the progress of science with patience and caution, and strict regulations have protected Piltover’s people from many hazards of unchecked experimentation and the over-hasty deployment of unproven technologies. Recent History: Piltover’s luminous optimism has been tempered by the ascension of Noxus and Zaun. Demacia’s shocking defeat in the Battle of Shurima has driven Piltover to drastically expand its regular military, compensating for its small population and lack of veteran troops with the use of controversial biohex enchantments (somewhat euphemistically referred to as the “People of Tomorrow” initiative) and the construction of hextech war machines. It has deployed this new force, dubbed the New Model Army, into Shurima. 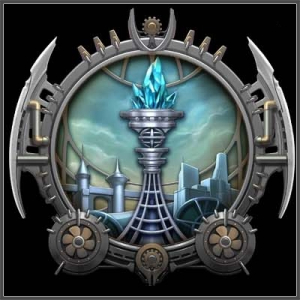 Objectives: Piltover is constructing a Demacia–Bandle City branch of its velocitronic railway through Shurima, aiming to make this trade conduit the metaphorical backbone of a new initiative to “civilize” Shurima and bring order to its chaotic society. It is also bitterly opposed to the rise of Noxus, a longtime ally of its neighbor and rival, Zaun. Gameplay: “Poketover” lacks much in the way of tankiness, but has outstanding “poke” and disengage capabilities. If a Piltovian team can manage distance and repel hard-engage attempts from the enemy team, it can whittle them down to nothing with an unrelenting barrage of skillshots. It also scales well into the late game, and has a broad range of ADCs to choose from. Pitch: A typed letter arrives for you at your Institute address. Though banged out in a sturdy and relatively plain typeface, a bit of squinting (combined with your arcane senses) tells you that it was nonetheless hand-signed by Caitlyn herself, and bears the stamp of the Mayor’s office. Felicitations, Summoner. Upon review of the Institute’s personnel files, as permitted by Council Ordinary Ordinance SD-0633(c), you have been selected as a suitable candidate. My congratulations, &c., are yours. Retainer to be paid at 200% of prevailing standard rate, commensurate with experience levels as set forth in Piltovian Foreign Statutes §§ 6000 et seq., with reasonable and related expenses also to be reimbursed pursuant to same. The Mayor has authorized further, by Executive Mayoral Decree 25-05-00092, and in lawful exercise of her authority as Citizen-Marshal of the Piltovian Armed Service, the payment of contingency benefits in the event of death or maiming while on a licensed excursion within the disputed Shuriman territory or authorized military operation therein. Please direct inquiries to the Office of Foreign Secretary Charles Cragleigh, 22 Stratus Lane, Piltover. Should you find these terms amenable, I look forward to striving alongside you for a brighter tomorrow. Attn registrar: this letter to be deemed proof of eligibility for declaration of allegiance to Piltover in dispute concerning Champion Azir’s petition for new state recognition, begun 16 May, 25 CLE. Contingency benefits in the event of maiming? Piltover is a classy place. Description: It is yet to be seen what the newly resurgent Shuriman Empire might become. Until Azir retook his throne, Shurima was a chaotic and violent place, inhabited by nomads and endlessly fought over by foreign soldiers and local mercenaries. The destruction of the Empire thousands of years ago brought disarray and fragmentation, first into the constituent principalities of the Empire, and then further into local tribes and independent cities. Ancient Shurima was built upon the peaceful use of magic and unquestioned loyalty to the Emperor. Though relatively prosperous, and fortified against the rampant strife of the Rune Wars, it also held much of its population in slavery, an institution that Azir purported to abolish on the very day of Shurima’s destruction, and which in fact lingered for some time after his death. 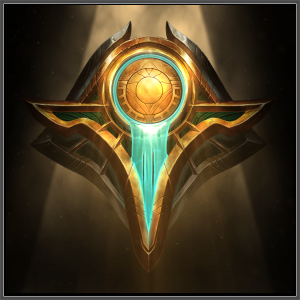 Recent History: Azir has gathered fragments of Shurima’s old civilization, and through his descendent, Sivir, has also won the loyalty of many modern Shurimans. He began this dispute when he petitioned the League for recognition as a sovereign member-state and the erasure of ancient territorial lines drawn over the ruins of the Shuriman Empire after its collapse. Objectives: Azir seeks to restore Shurima as a sovereign nation. Whether he is successful, and what form Shurima might take if he is, remains to be seen. Gameplay: Little is yet known about Shurima. It has a dark and mysterious playstyle a fairly balanced roster. Pitch: You awake in the middle of the night. You’re in your small Summoner’s quarters in the Institute. The first thought that comes to your mind is that you want to visit the Institute’s library. Though absolutely intent on doing so, you are not hurried as you slip on your robes, lace your shoes, and walk down the nearly empty corridors. You pass by Vi and Olaf, who are drinking together—Vi with a flagon of Freljordian icewine, Olaf with a bottle of fortified Piltover stout—and merrily slugging each other in the chest after each draught. Unperturbed and seemingly unnoticed, you continue on, and soon come to the library. Four floors underground, in the southern wing, you enter an archive vacant except for Nasus, the Curator of the Sands, deep in contemplation of a text wrapped in silvery null-magic cloth. Though he scarcely moves, his withdrawal from this contemplation is starkly apparent. A moment passes. He turns to face you, and speaks. “You are heir to a fractured world, Summoner. Your apportioned sliver of life traces out from a fissure of a fissure in time, and I was there the day that first stroke fell. Death will claim you long before it is known whether the second rising of the Sun Disc marked mending or a deeper fracturing, but I will remember your choice. My fate is to stand with Azir. Yours is yet to be written. I sense your awe as you gaze upon the power of Shurima, yet you do not fear it as you should. Heed well my warning: many are they whom the destiny of Shurima has consumed. See the faces of the dead in my eyes, Summoner, and tell me if you dare believe you shall avoid their fate.” Your trancelike calm explodes into contortions of blind agony. You awake, thrashing in your bed, sweat streaming down your face, and your throat raw from screams you cannot remember.